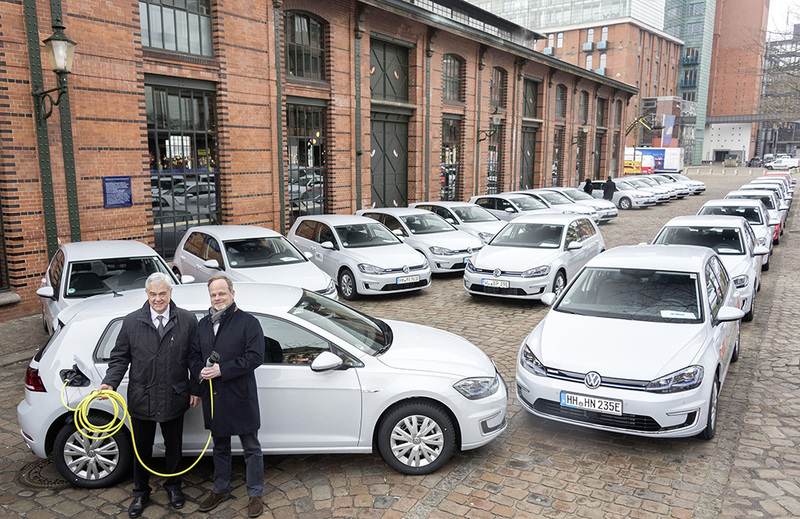 Hamburg and VW are taking part in a programme to transform the city to a state of e-mobility with the delivery of 50 EV variants of the Golf. 50 members of the public, entrepreneurs and employees of authorities in the German city of Hamburg can now benefit from e-mobility thanks to the latest introduction from VW. Volkswagen has handed over 50 e-Golf cars. Over the next three years, they are expected to drive around 1,5 million kilometers through Hamburg with the environmentally compatible e-Golf silently and with zero emissions. The initiative is part of the partnership between the Volkswagen Group and the City of Hamburg. Through this initiative, the Group is also making a contribution to the nationwide penetration of e-mobility in Germany. The 50 e-Golf were handed over as part of the partnership between the Volkswagen Group and the City of Hamburg. Together, the partners aim to shape the sustainable urban mobility of the future and are committed to the use of electric drives for both passenger cars and buses. The use of these 50 electric cars under the e-Drive Hamburg 2018 programme is supported by the Federal Ministry of Transport and Digital Infrastructure. With the “Roadmap E”, the Volkswagen Group set itself the target of increasing the share of electric vehicles in total vehicle sales to about 25% by 2025. That corresponds to between 2 and 3 million electric vehicles delivered per year. For this purpose, the Group brands will be offering 80 new electric models to customers by 2025. By 2030 at the latest, the Volkswagen Group intends to electrify its entire model portfolio.